WindCom supports customers across multiple continents, providing effective and safe solutions to the most complex blade servicing needs. With offices in Houston, TX, Madrid Spain and Sorocaba, Brazil and plans to open a new Asian office, blade services can be offered anywhere. Since 2006 blade repairs and inspections have been performed creating the world’s largest database of blade data. Using the most advanced access equipment technicians blade repairs are enacted using work instructions that are provided for every repair from one of the in house engineering teams. Data is entered into a proprietary eReporting system which serves as a means of quality assurance, finished reports and database. Work is done safely and right the first time. To be recognized as the industry leader in maintaining blades by committing to the highest level of service and the customers’ overall success. Ensure the maximum lifetime for customer´s blades with the lowest cost, through focusing on high levels of technical competence, innovation and flexibility to rapidly attend the most demanding needs in the wind market with safety, integrity and respect. Innovation is a WindCom value. Our internal R & D Committee is focused on increasing efficiency and creating tools that improve the customers’ bottom-line. For example, a recent upgrade to WindCom’s eReporting software enables users to access their data to produce custom reports. 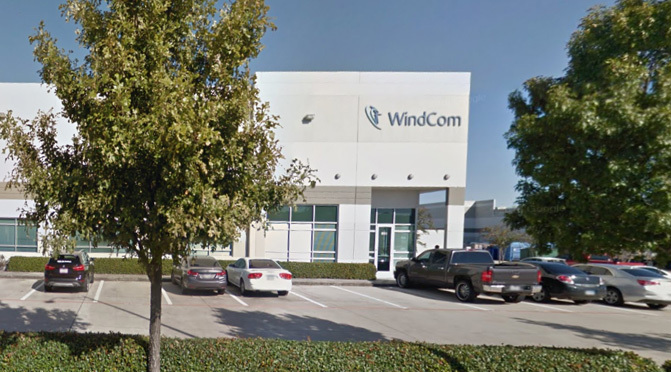 Future use of the over 18,000 records will help WindCom lead the way for predictive maintenance. Safety is at the core of our company culture from the office, warehouse to mobilization and onsite service. Our dedicated EHS manager oversees safety on every job. Plus, our in house safety education program provides WindCom technicians initial and annual safety training and certifications. We are proud of our good safety record. Additional information is available by request.